What does it cost to add radiant heat to a large master bathroom? Every house hunter has a list of “must haves.” This list might include an open floorplan, a large backyard and a gourmet kitchen. 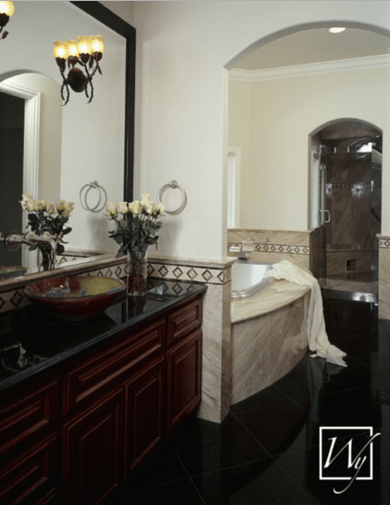 However, nothing says luxury like a large, well-designed master bath. In this particular example (see floorplan), the bathroom boasts approximately 160 square feet, including two separate vanities, a nearly 19-square-foot shower, a sizeable bathtub, and a separate space for the toilet. It’s clear that this bathroom was designed “to the nines.” But in order for it to fulfill all aspects of luxury, it needed some heated floors. Although space and luxury typically ups the dollar amount, this homeowner was able to indulge in a sophisticated upgrade at an affordable price. As about half of the bathroom was taken up by objects in the room (such as the vanities, shower, bathrub, etc. ), the entire bathroom required just one 1.5’ x 60’ TempZone™ Flex Roll. When combined with a SmartStat™ thermostat, the total cost of the heating system is just over $1,000. To be exact, the thermostat costs $169, and the TempZone™ Flex Roll costs $855, which equals a total of $1,024. In terms of square footage, the cost of the heating roll for this large bathroom is only $9.50 a square foot (excluding the thermostat). That could be less than the retail price of 1 square foot of high-quality tile! If you’re on a budget but still want to give your bathroom that luxury look and feel, installing in-floor heat is a great option. Of course, depending on your floorplan, the cost will change. 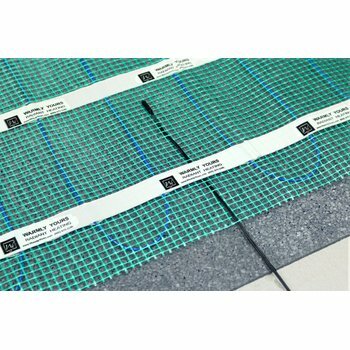 Want to find out how cost efficient it is for you to install in-floor radiant heating in your bathroom – or any other room in your home? Just send us a floorplan! The team at WarmlyYours will get back to you with a customized installation plan and a free quote the very next day. And as you can see from the floorplan above, some rooms have a more complex design than others. Our floorplans will walk you through the beginning, middle and end of the installation process so that your bathroom is evenly covered in warmth when you need it. If you run into any challenges along the way, don’t worry. Our technical support team is available to answer your questions 24/7. 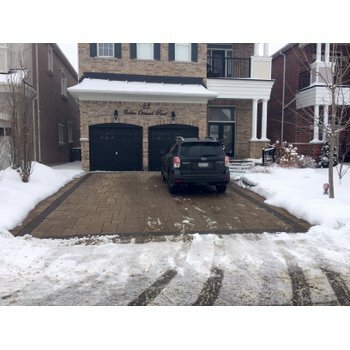 Plus, by pulling up the custom floorplan that was provided to you, our experts can better direct you on exactly how to follow the plan and check your work as you go. 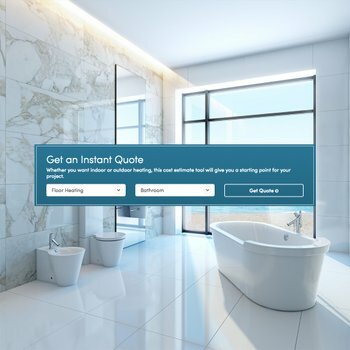 If you’d rather find out how much radiant floor heating will cost you before you send in all of your floorplan details, be sure to check out our “Get A Quote” tool online. Within seconds, you’ll receive an estimate of how much it would cost to install an in-floor heating system in one of your rooms. Plus, to determine if your home is better suited to use in-floor heating as a primary or supplementary heating source, check out our Heat Loss Calculator. All of these tools – and more – are available to you free of cost on www.warmlyyours.com.